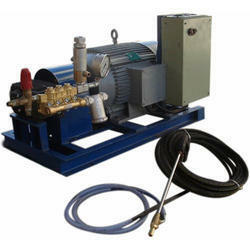 We offer High Pressure Wet/Sand Blasting Machine. We are the leading supplier and trader of all kind of Sandblasting Equipment. We offer Sandblasting Equipment. These Sandblasting Equipment manufactured using the finest grade raw materials procured from our trusted vendors in the market and are strictly in compliance with the prevailing industry standards. Our range is available in different capacities based on the requirements of our clients. Being a reputed name, we are affianced in offering the optimum quality of Portable Sand Blasting Machine to our valuable consumers. We recently added a new shot/sand blasting machine to the vast family of machines here at GRAPHIX. This machine is capable of producing 2000 pieces per day depending upon the nature, size and shape of the component. Anyone interested can contact for job work. Quality and timely delivery is what we expertise in. We are engaged in manufacturing and supplying an extensive array of Sandblasting Boxes, which is known in the market for its application specific detailing and designs. These boxes are guaranteed to be in compliance with the set parameters of the industry. The work area dimensions are 25" x 15" and the overall dimensions are 25" x 17" x 20".